Pinterest is the hottest social network out there right now! It allows a user to create virtual pin boards for organizing their interests, and capturing inspiration and innovative images they find on the web. The saying “A Picture equals a Thousand words”, is the best way to describe why Pinterest has become so popular. 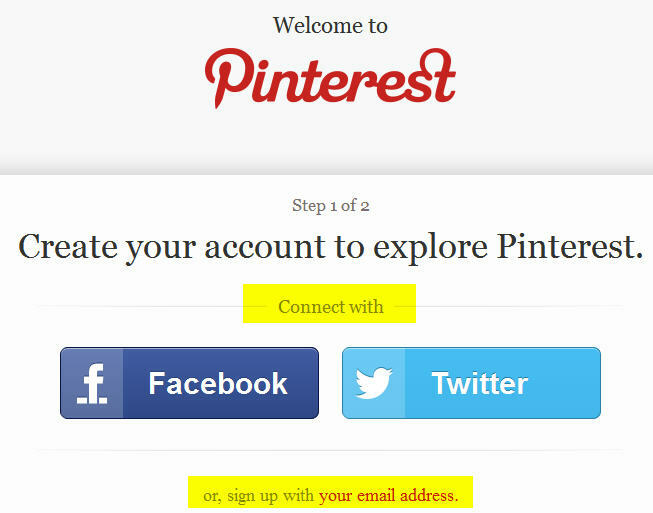 If you have not created an account on Pinterest yet, you are really missing out on a HUGE opportunity to drive targeted traffic back to you. Pinterest actually brings more referral traffic than LinkedIn, Google+ and YouTube combined? Sounds crazy but this little network has been able to do this in less than 2 years. According to Shareholic, it is on the verge of driving more referral traffic than Twitter as well. Setting up your profile on Pinterest is simple. You will setup your username (limited to 15 characters) and I recommend using your name for personal accounts and business name for business accounts. Now if you have a common name or someone has already captured what you would like as your username, think of some combination with keywords or something that describes you/your business. I do not recommend adding numbers at the end (unless it relates to your brand) as it looks like you were late to the party. Once you have set up your username and added a brief description (limited to 200 characters) and your profile photo (DO NOT forget to add this, after all this is a site all about photos!) then start creating your boards and start pinning away. Did you find this post to be useful? Will you do me a favor and share this with 2 of your friends? Thanks so much and stay tuned for more fun strategies on Pinterest! Happy Pinning!